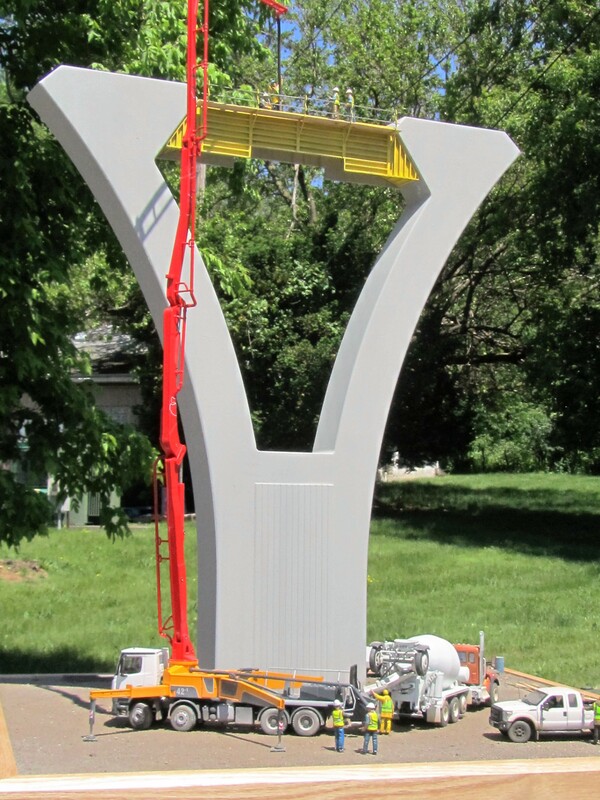 This construction diorama was built to attract attention in a trade show booth. 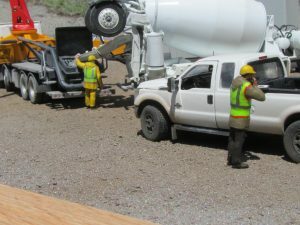 Our client sells software. 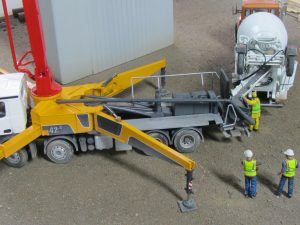 The model was designed to show the software being used in a real life scenario that was easy to relate to. 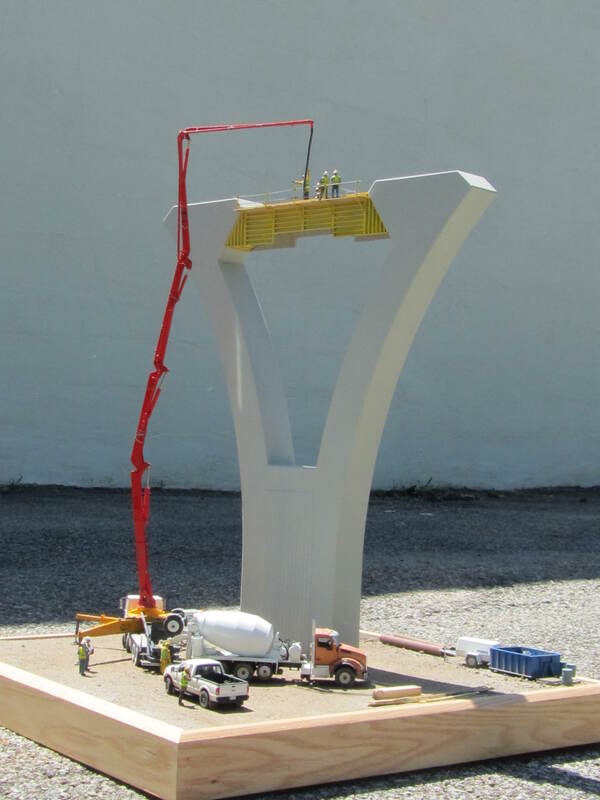 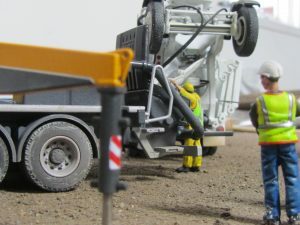 The diorama depicts a construction site. 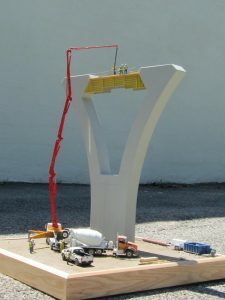 It shows a pier (the architectural support underneath a bridge) being built. 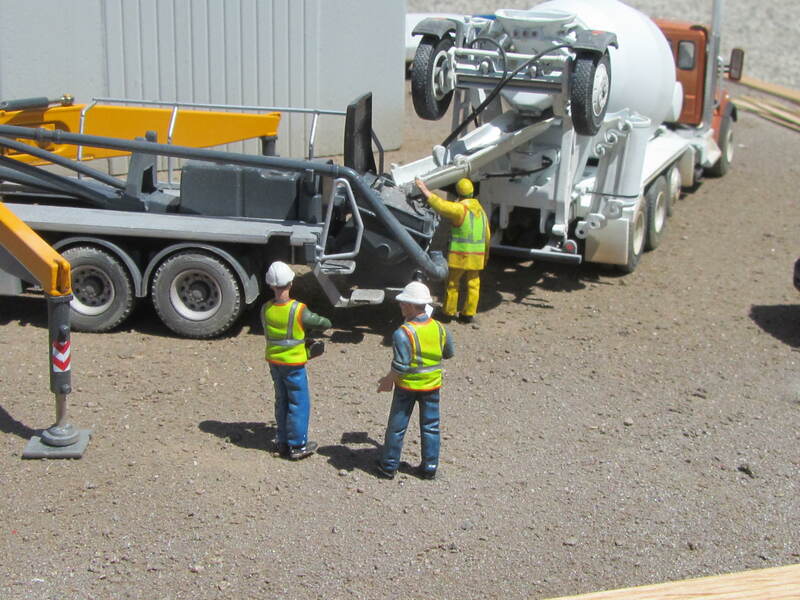 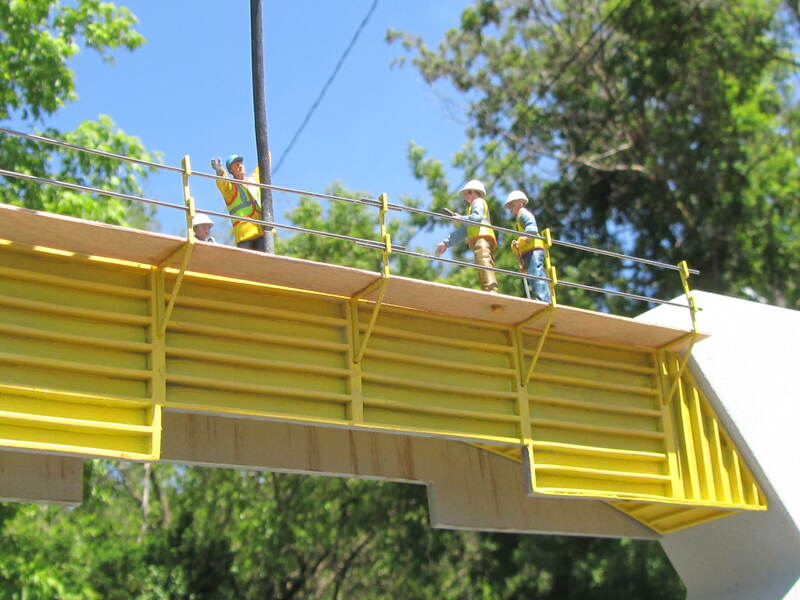 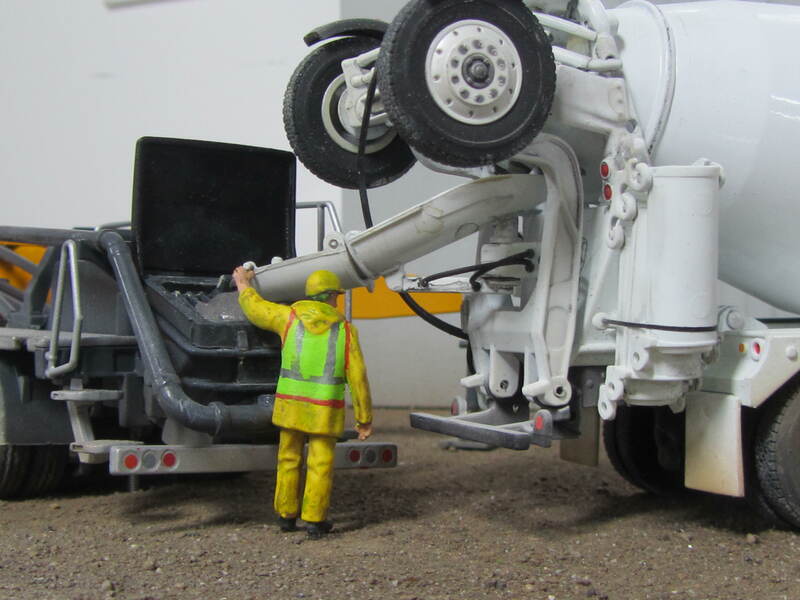 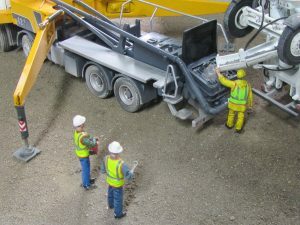 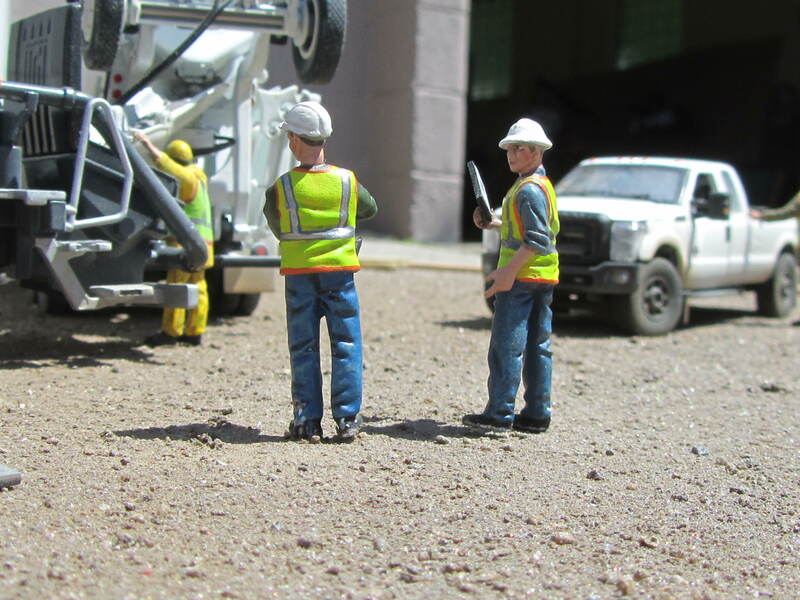 Included in the construction diorama are several die cast vehicles and model people. By using off-the-shelf scale model figures and trucks, the diorama could be built more economically. 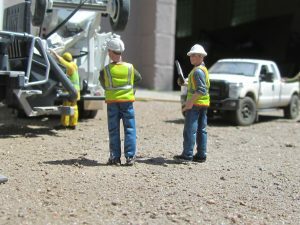 The whole purpose of this model is to draw potential customers in to the trade show booth, by providing an engaging centerpiece. 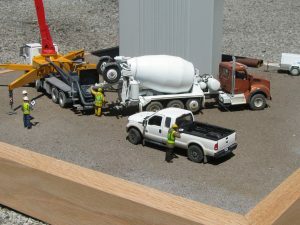 This project was posted in Industrial Models, Trade Show Models and tagged construction diorama, construction model. 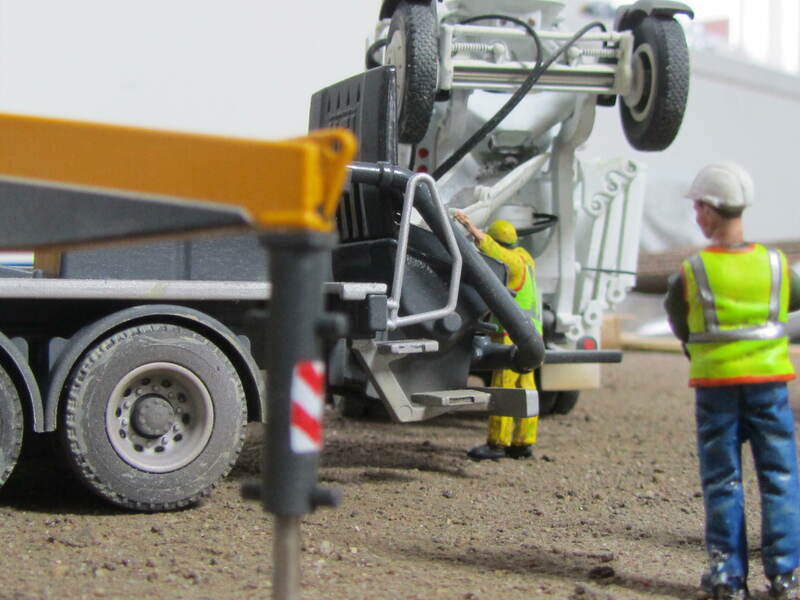 Bookmark this project: Construction Diorama.